Mill City Iron Fabricators can be summed up by the words IRON & FABRICATION in our name. Our craft involves iron and steel that is cut, bent, drilled and welded to your specification. 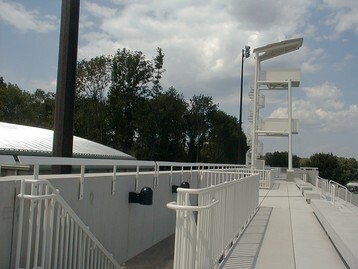 The completed fabrication is then painted, galvanized or powder coated to present a pleasing, and more importantly, a durable finish. 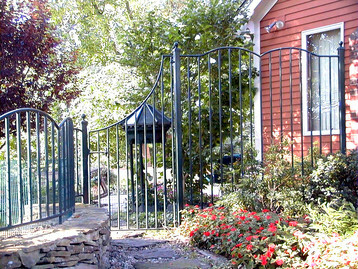 Our homeowner projects range from stair railings and architectural accents like mailbox brackets . . . to fences and gates . 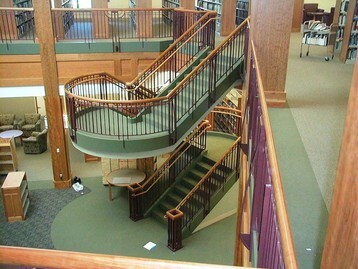 . . from pipe rails to spiral staircases . . . from burglar bars to structural supports. We install our own work to assure customer satisfaction. Projects often begin with a set of plans from and Architect/Engineer from which we produce detailed component drawings for shop fabrication. Once fabricated, our expert installers complete transportation to the work site and installation in the field. Drop us a line about your project and we will get right back to you. © 2019 Mill City Iron Fabricators Inc. - All rights Reserved.